Shipping Weight: 1000 units at 22 lbs. They say that bigger is better, and when it comes to promotional products, we agree. 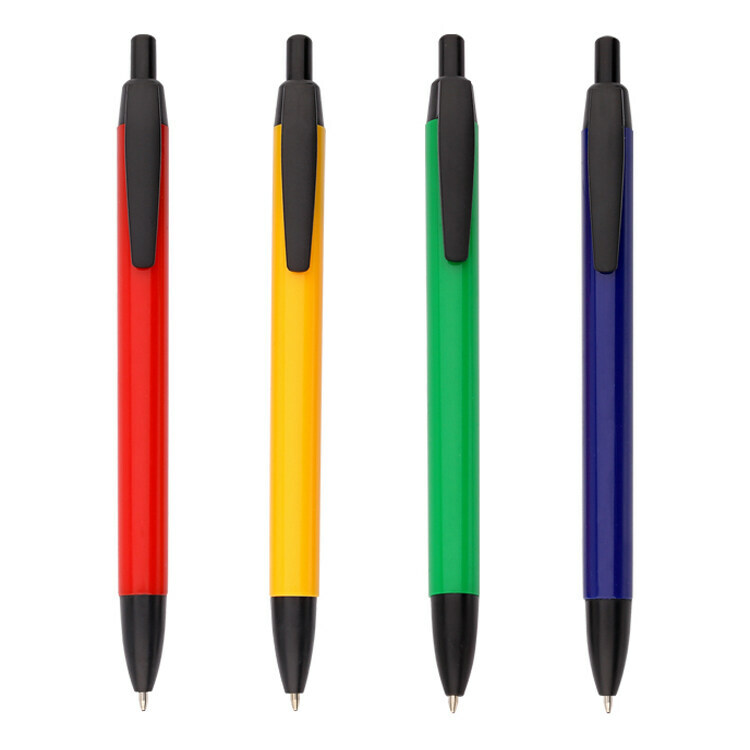 The Bic WideBody Pen is just the customizable item you've been looking for: a pen with a bigger body means way more room for your logo! 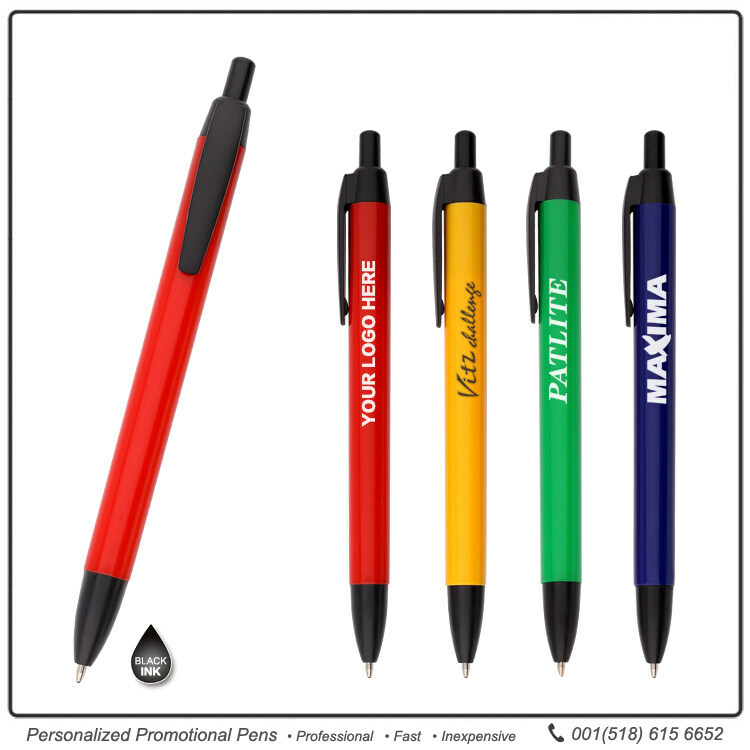 Customize the pen's barrel or clip with your company's logo, slogan, or tag-line. 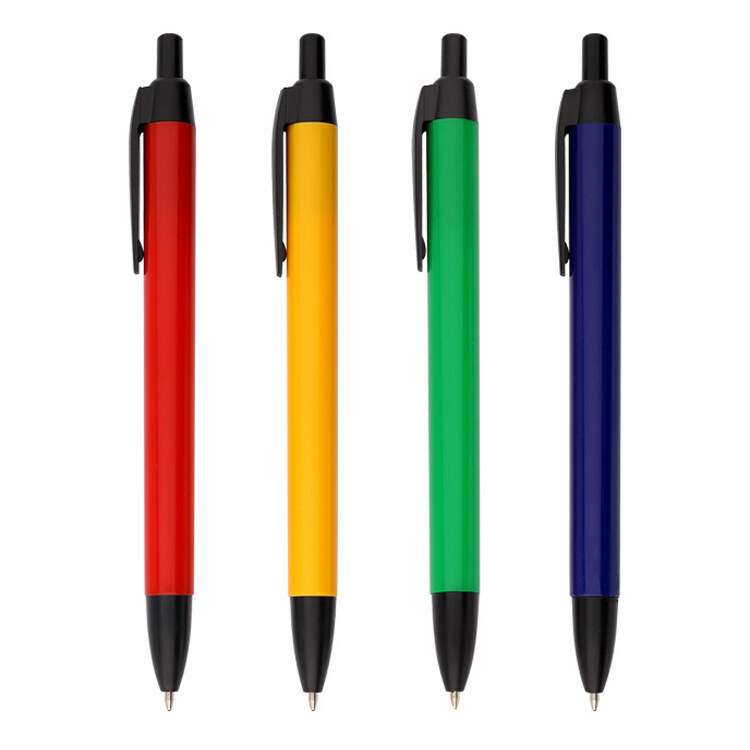 With over 300 possible barrel and trim color combinations, your marketing message will come across screaming loud, increasing your return on investment when choosing to order this high quality click pen. • The ink flows smoothly, just as you'd expect from a Bic ballpoint pen. • The click-top plunger has a rounded, dome-shaped top that makes it oddly pleasant to click (okay, maybe we do think too much about pens). • The clip is made from a soft, flexible plastic. It can clip together a thick stack of documents, but be sure not to bend it back too far, or it might break! 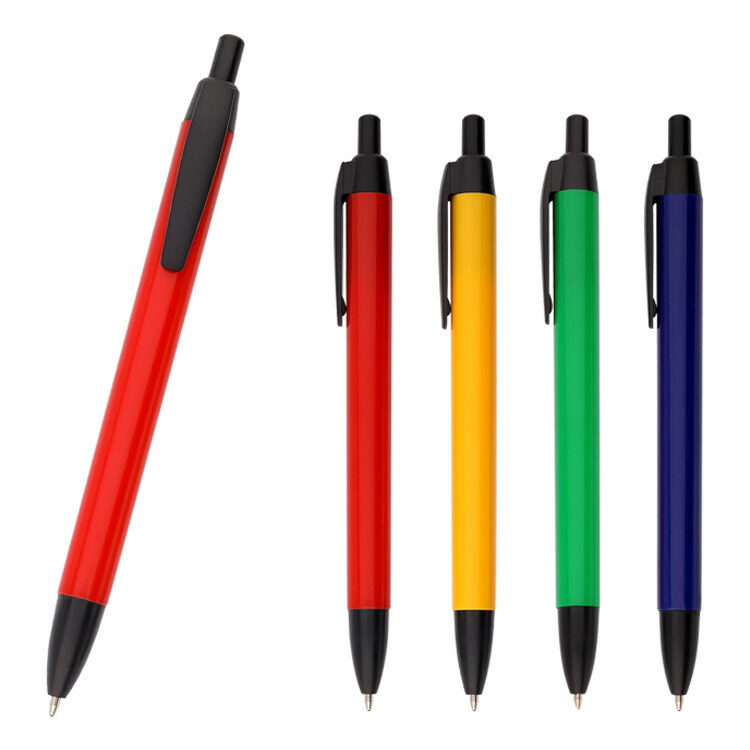 • Bic pens make great leave-behinds, can be bundled with other promotional items, and are a must-have for trade shows or when hosting a seminar. Custom wide-body pens are easier to grip than traditional pens, provide an ample imprint area, and offer double the ink capacity than most traditional pens. Order the Bic WideBody Pen today. You won't regret it! Especially not when you order from JAVLEINPEN.COM and take advantage of our low price guarantee. Great price and great delivery time. Only wish I could have at least one more line. Fast service; thank you! Was actually better than I expected, and these custom made pens are good! It's perfect. Great price and awesome quality. You always nail it out of the park! I will continue to use your services as I am always blown away by how awesome everything is. They were super fast shipping it to me, I love the pens! The printing on them is very clear and bold. They write smoothly and I will definitely order them again when I run low. Love the pens. Perfect gift for my Client. Thank you! Value for money. Quick turnaround time and imprint quality was perfect. Really nice fine black ink and smooth writing pen. I did mine in all white with a light color lettering and logo, and its clean aesthetic look is amazing. I only like black ink in a fine point so it doesn't look sloppy when you are filling out a lot of forms, so this one does the job. Will re-order. Oh, great price too!! nice pens, look good, write good, what more can I say.